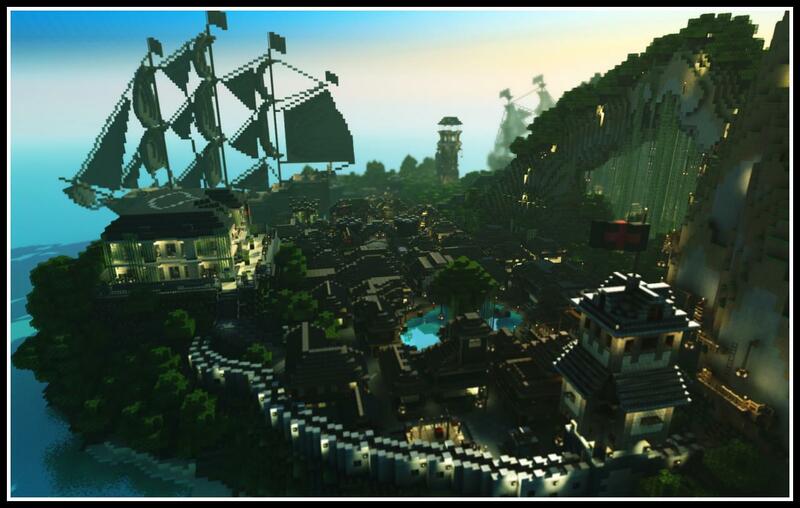 The Pirate Island Adventure Map is one of the best maps currently on the market for Xbox 360 and Xbox One. The map starts on a small pirate ship, and as you come about, you realize you have to embark on an adventure towards the island of pirates. So what are you waiting for, download the Pirate Island Adventure Map today. There is no real way to ‘use’ the Pirate Island Adventure Map. You first of all need to download the map. This is done a little differently on consoles and involves transferring the files over with a USB stick. Then, gather up as many friends as you can and invite them into your game. There are currently no public video showcases showing all of the features of the Pirate Island Adventure Map. A unique blend of a realistic style with surreal features. Takes place on a small to medium sized island full of pirates. The map is a fully customisable adventure map that can play one player at at time. Available for the Minecraft download on Xbox 360 and Xbox One. To install the Pirate Island Adventure Map you need to first of all download it by clicking on the download link below this article. There are currently no public changelogs for the Pirate Island Adventure Map.